Commercial chillers from Enviro Chill are designed to ensure your business is compliant with all relevant regulations, and that all your food is produced and stored in a hygienic and safe way. The team at Enviro Chill offer commercial chillers that additionally meet energy efficiency standards, allowing you to stay ahead and remain safe in the knowledge that your food chillers will pass any and every inspection. If your business serves food, you need to know that your food is being kept in a hygienic environment that’ll keep your customers safe and happy. We work with a number of catering and food businesses, including large national chains, takeaways, restaurants and cafes to supply them with the food chillers they need to meet all their needs. Enviro Chill’s qualified and experienced engineers will conduct a free site survey and discuss with you exactly what you’ll use your chiller for, the amount of space you have and your budget to ensure we supply you with a commercial chiller that meets all your needs. Additionally, all the commercial food chillers supplied by Enviro Chill use highly efficient and environmentally-friendly coolants, as well as saving you money on your bills. 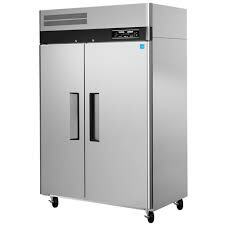 Why choose Enviro Chill Ltd for your commercial food chiller? At Enviro Chill, we have years of experience in the commercial refrigeration industry, and we know exactly what food and beverage companies need when it comes to commercial chillers. We’ll help you to find a food chiller that meets all your needs, and as well as expertly installing it, we offer maintenance and ongoing service plans to ensure that your food chillers are in optimal condition at all times. Our friendly and professional engineers are on hand to help you at all times, and will give you all the advice you need about finding the ideal food chiller. From our base in Liverpool, we supply and install food chillers throughout the whole UK, as well as offering our maintenance packages. For more information about how Enviro Chill can help you with your food chillers, simply send us a message or call 0151 285 1818 today.